We saw this camper last year at Canoecopia right after they had completed the prototype and put it on the road for the show tour. It is beautiful and amazing. This is especially so if you are young and active and don’t have a thousand pounds of kids, grandkids, and cages of birds to haul around as part of your touring entourage. 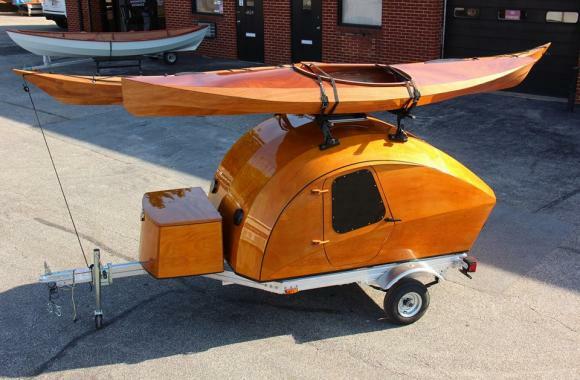 If building a boat has been floating about in your mind, this is the obvious follow-up to provide economical and carefree traveling and camping. These are the links for both the construction video, which CLC just finished, and the Chesapeake Light Craft site.